My daughter likes Qubiertos' Pinaputok na Bangus a lot so I tried doing a version of it. Instead of celery you can use parsely for a milder taste. You can also remove tausi if you're not a fan because the oyster sauce is enough to make it taste good. 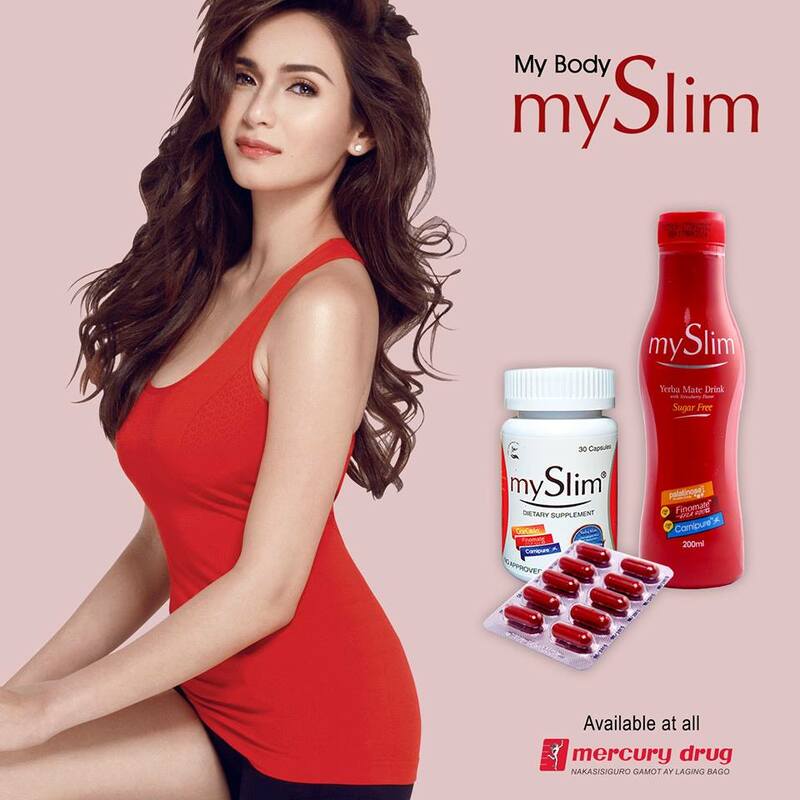 Jennylyn Mercado is mySlim’s new brand ambassador. 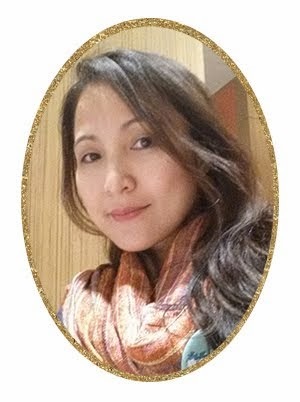 She was chosen as the perfect image of strength and value for one’s constant improvement – both of which are mySlim’s brand philosophy. 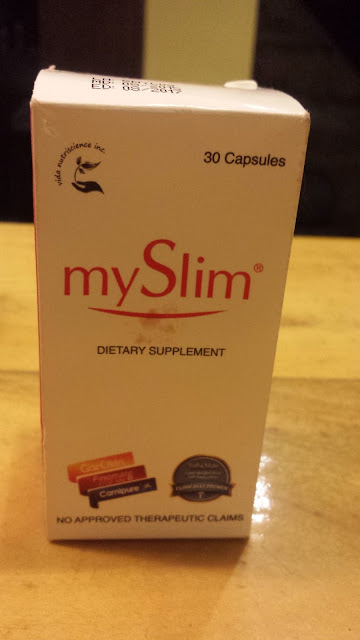 I have tried a couple of dietary supplements in the past but when co-blogger Aci asked if I'd like to try mySlim with Yerba Mate, I immediately said yes because I am always on the look for the best supplement that is effective as well as safe. • mySlim is the first slimming and detox drink clinically proven to promote safe weight loss for its special Yerba Mate formulation. • Yerba Mate was first discovered in Brazil and was then used for tea. Over the centuries since its discovery, clinical studies and research proved that it is also an effective weight loss component. • Yerba Mate reduces fat without shedding lean muscle mass and only burns unwanted fat, making you fit and healthy. 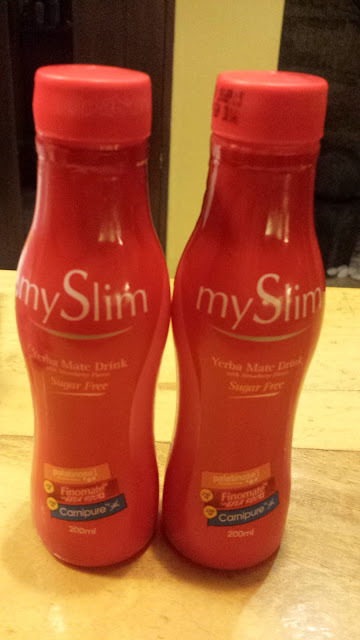 • Apart from Yerba Mate, mySlim is also packed with Palatinose which promotes energy for longer periods of time. It also has Carnipure which reduces the sensation of hunger therefore reducing one’s food intake. 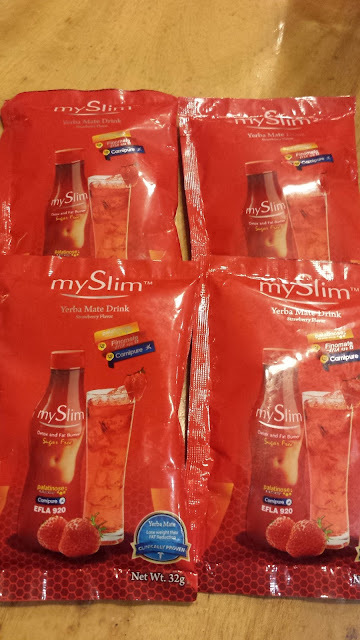 • mySlim was developed by Vida Nutriscience Incorporated, one of the leading health and wellness products provider in the market and the country’s go-to provider of safe, novel and ethical health and wellness products. 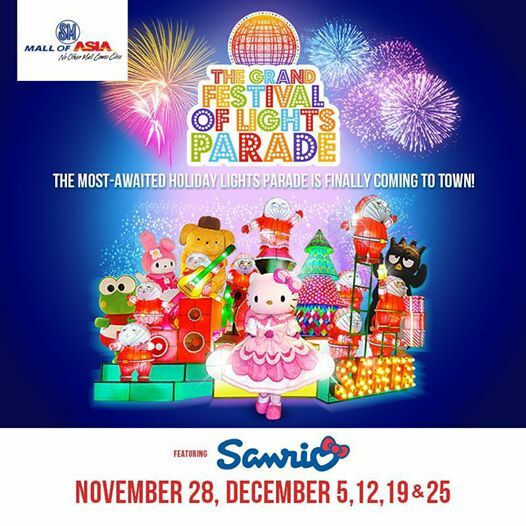 If you weren't able to see The Grand Festival of Lights Parade at SM Mall of Asia yesteworry because every you still have four Saturdays to head on at SM MOA to watch MOA’s Royal Marching Band and Sanrio characters such as Hello Kitty, Keroppi, Badtz-Maru, My Melody and many more. The parade will start at 5:30pm and will begin from North Arcade and end at Seaside Blvd. with a grand fireworks display. You can also check out Santa Comes to Town all the way from the North Pole to meet and listen to all Christmas wishes on November 28, 29, December 5, 6, 12, 13, 20, and 25 at the Main Mall Atrium. Enjoy and take a selfie with Santa and thousands of cute and cuddly Santas scattered all over SM Mall of Asia at the 50-foot Christmas Tree at the Main Mall Atrium. For the second time around, I attended Samsung cooking event at Gala Stars Culinary School under Chef Ernest Gala. Two recipes were prepared by Chef Ernest, namely Christmas Chocolate Cupcakes and Chicken Mac Casserole. 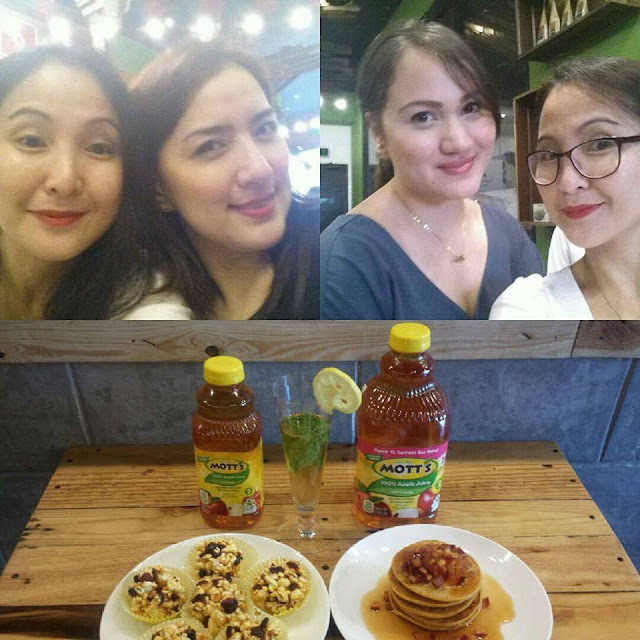 I must tell you, I had a wonderful time for it was truly easy baking and cooking with Samsung Smart Oven! Line 12 - 2 inch microwavable ramekin muffin cups with muffin papers. 1. Put in a microwavable bowl unsweetened chocolate bars and butter. 3. Set Samsung Smart Oven Microwave mode 700W and time 1 minute. 4. Remove wrap and mix chocolate and butter with whisk. 5. Add all ingredients except flour. Mix well for 1 minute. 6. Add flour and mix 1 minute more until no more flour is seen in the mixture. 7. Scoop mixture onto muffin paper. 8. Transfer to Samsung Smart Oven. 9. Set Samsung Smart Oven to Microwave+convection mode to 180 C. Time 3 minutes and 30 seconds. 10. Tap center of cake with spoon if springs back it is finished. Cool. 11. Top with whipping cream and sprinkles. 1. In a pan melt butter, onion, celery, and green bell peppers. 3. Add chicken and salt. Cook for 1 minute. 4. Add flour. Mix well. 5. Add Milk. Mix whisk until simmering. 6. Add quickmelt cheese. Turn off fire. 8. Transfer to microwavable dish. 9. Top with parmesan cheese. 10. Set Samsung Smart Oven Microwave+convection mode to 180 C. Time 7 minutes. PhilCare, formerly, PhilamCare had a thanksgiving party for bloggers two days ago in Makati. I'm happy to have been part of part of the event because I got to know ablut their PhilCare Unliconsult Cards. Instead of giving your loved ones a new phone ar any gadget, choose to get them PhilCare Unliconsult Cards. The cards allow you to avail of consultation services from over 15000+ medical specialists and dentists in any of PhilCare’s affiliated hospital or clinics nationwide for one year. Use it to monitor existing illnesses and even for regular check-ups to ensure your overall health and well-being. 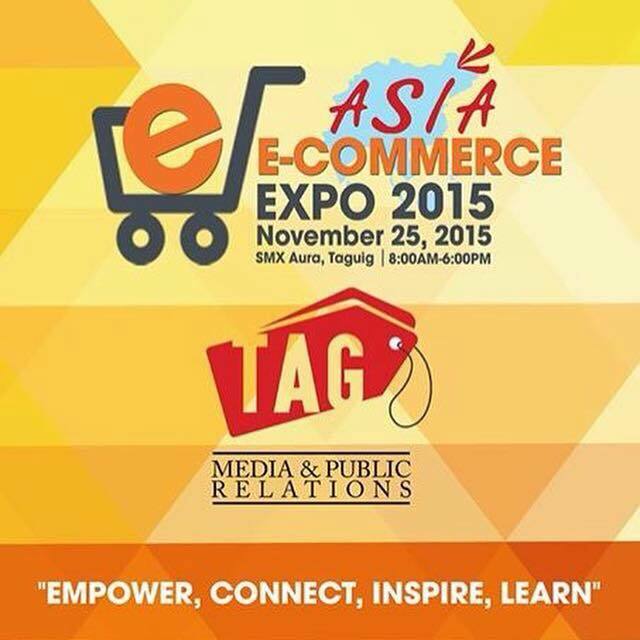 Pre-order from November 16 – 20, 2015 and get P100 discount per card. Specify your name, quantity, and contact info & send your email to order@philcare.com.ph. Delivery begins on December 7, 2015. Head on at SM Mall of Asia as our most beloved Christmas icon, Santa Claus and his friends from Sanrio are in town to bring Christmas cheer every Saturday from November 28 until Christmas Day. Guests and mall-goers are in for a special treat as the lights parade gets bigger and bigger with colorful Christmas floats (lit from within) accompanied by a parade of mascots, dancers, MOA’s Royal Marching Band and Sanrio characters such as Hello Kitty, Keroppi, Badtz-Maru, My Melody and many more to spread joy and happiness to kids and kids-at-heart. Every Saturday starting on November 28 until Christmas Day, parade will start at 5:30pm and will begin from North Arcade and end at Seaside Blvd. with a grand fireworks display. Santa Comes to Town all the way from the North Pole to meet and listen to all Christmas wishes on November 28, 29, December 5, 6, 12, 13, 20, and 25 at the Main Mall Atrium. Enjoy and take a selfie with Santa and thousands of cute and cuddly Santas scattered all over SM Mall of Asia at the 50-foot Christmas Tree at the Main Mall Atrium. Bonifacio Global City (BGC) literally wraps up the development in holiday cheer with larger than life gift bows to mark the season. Colored in festive red and white, these bows transform several buildings and lamposts into eye catching attractions. And in Bonifacio High Street, monumental pieces are sprinkled along this outdoor mall, ready and waiting for eager shoppers to take their selfies and holiday photos. At the heart of all of this, are a series of activities and events geared towards the ever growing and thriving passionate community. The festivities kick into full swing starting December 5. 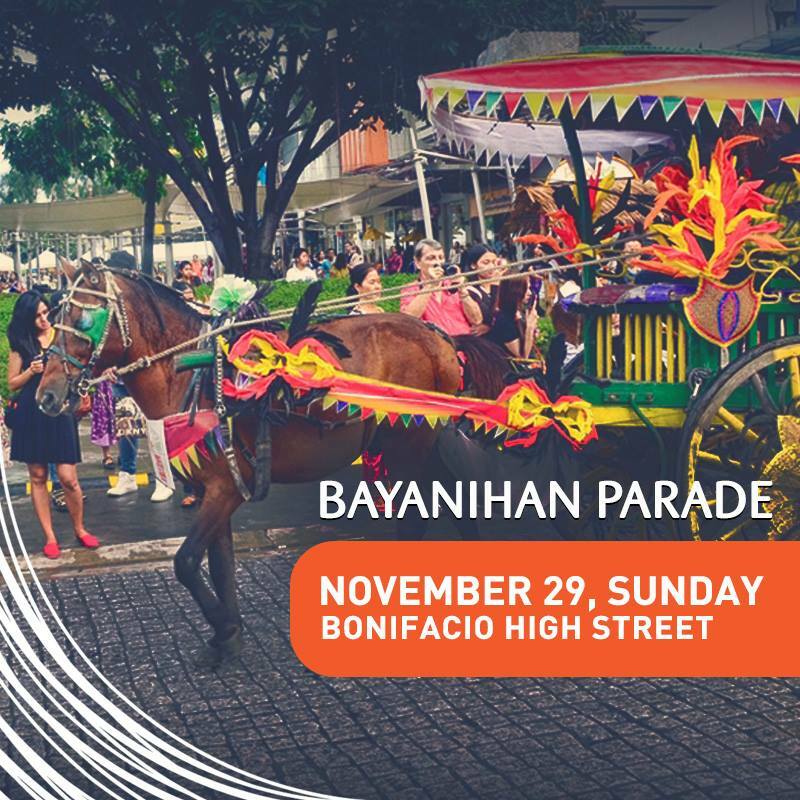 Classic BGC programs and activities such as BGC Impromptu, BG Art Mart and Chalk the Walk take on a jollier approach - balancing the development's distinct personality and the feel of a traditional Christmas. Grab your friends and a bucket of popcorn for Small Screen Goes Big. This unique outdoor screening features holiday episodes of popular TV shows. Immerse yourself in a sea of lights and music as the Christmas Box Spectacular radiates from the main stage every night. The Wandering Minstrels jingle all the way singing familiar holiday tunes. Look forward to a performance by the Metro Manila Orchestra on December 6 plus A Christmas Symphony at Bonifacio High Street on December 19 featuring a very special guest. Even the BGCitizens take the stage. Globe, Deutsche Bank, St. Luke's Medical Center, the NET Group and The Mind Museum to name a few are sending their employees to share their talents with the community. 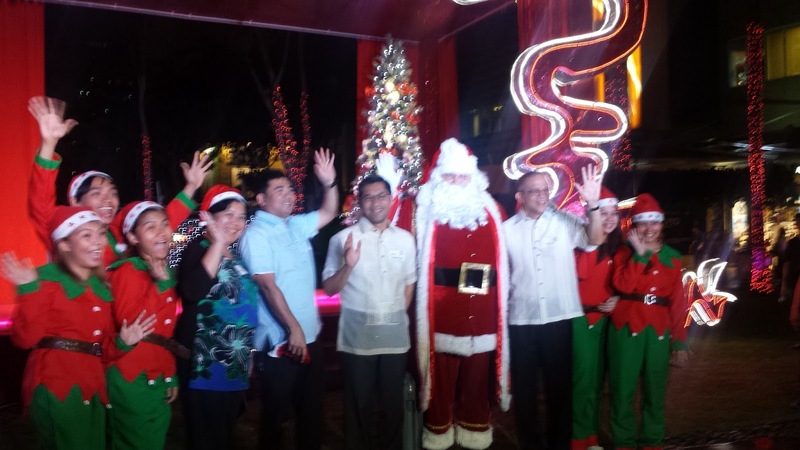 Grab a Santa Hat by presenting receipts worth P2,500 from Bonifacio High Street establishments. Each hat will allow the wearer access to selected activities such as Meet and Greet Santa, Santa's Mail Station and Christmas Carriage Rides. Alternatively, a donation of P500 can get you a Santa hat as well. BGCitizens, however, need only present any proof of residence or employment to get one (1) free Santa hat. BGC also takes this time to give back to the less fortunate communities of Taguig City. Everyone is invited to donate gifts and wrap boxes on Saturdays of December. Fort Bonifacio Development Foundation, Inc. will facilitate this activity as well as deliver these presents to the children of the different barangays. Come to BGC and where Christmas celebrations are fully immersive, interactive and well-rounded for a truly unique experience in BGC. For more information on BGC's full holiday schedule of activities, please email info@bgc.com.ph or visit www.bgc.com.ph and www.facebook.com/bonifacioglobalcityph. Earlier today at Discovery Primea, iTrueMart (Thailand’s leading e-commerce retailer) has launched iTrueMart.ph e-commerce website to serve the Philippine market and bring an unrivaled shopping experience with access to a variety of products, various payment channels, and competitive pricing. 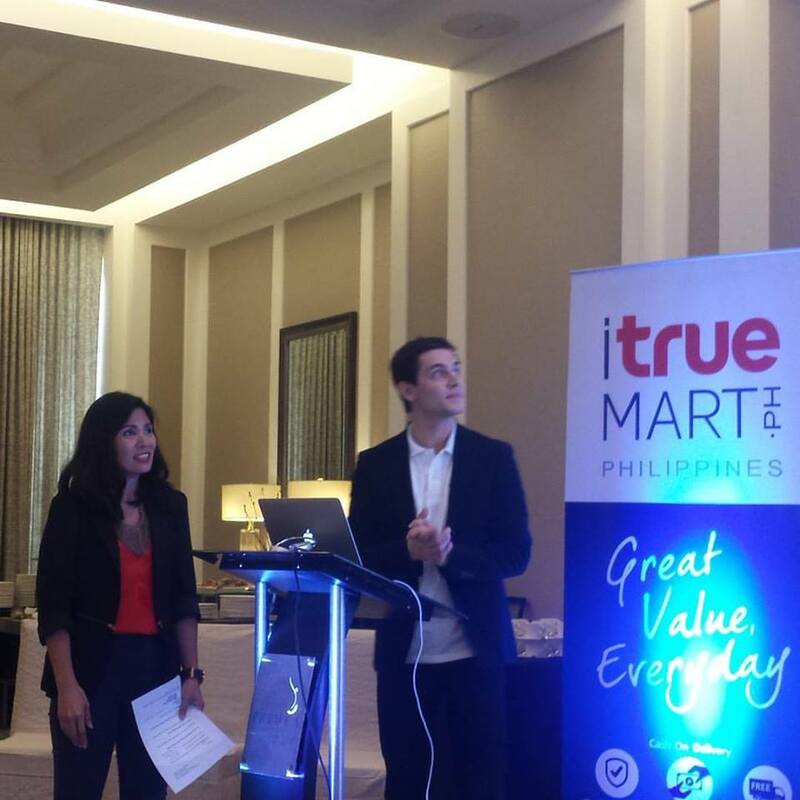 iTrueMart debuts in the Philippines, under the slogan “Great Value, Everyday” and backed by the strong success of iTrueMart in Thailand. 1. They offer various products and great deals with just a click of a button. 3. Works only with authorized distributors of international brands and act as authorized dealer of local brands so customers can be assured that all products on the website are genuine. 4. Current focus of the site is on smartphones and gadgets and it will expand into consumer electronics, computers and laptops, health and beauty and moms and kids in the future. 5. 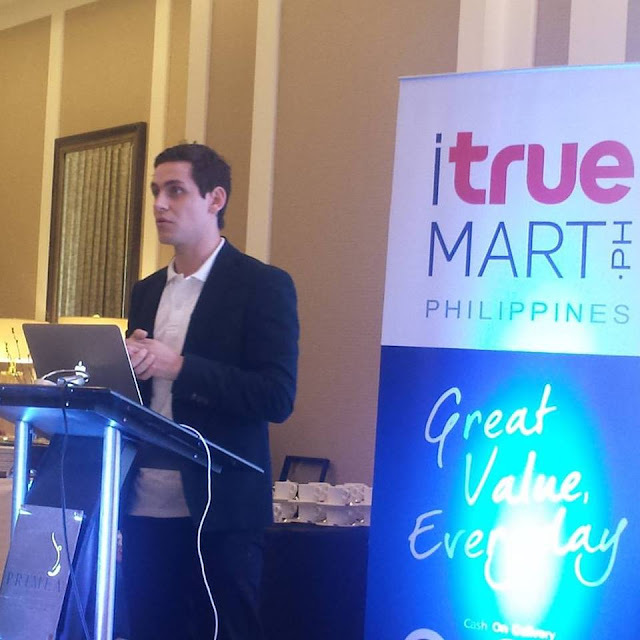 Caters to the Filipinos' love of bargains and offers lower prices with the use of vouchers. 6. Provides free delivery and free returns with cash on delivery payment as an option for customers. 7. 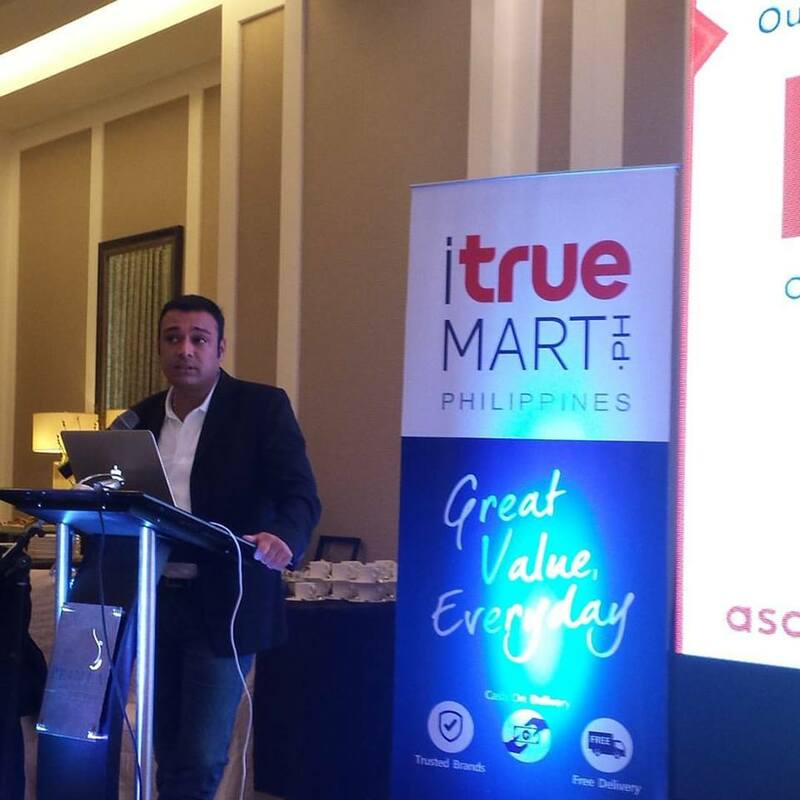 Delivery in the Luzon area and will further expand from the beginning of next year. 8. 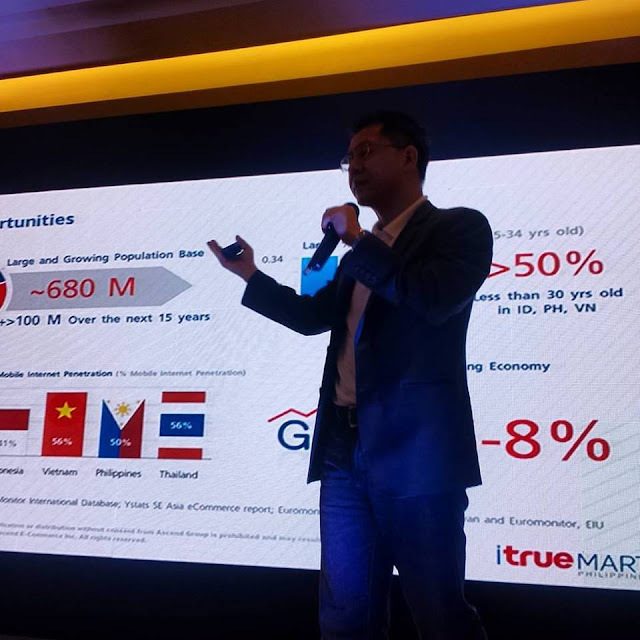 Will have 100 vehicles in its delivery fleet by the year-end, operating out of its own fulfillment center in Pasig. 10. A mobile application will be rolled out by the first quarter of 2016.
who gamely tried how easy it is to shop at iTrueMart.ph. and make your Christmas shopping hassle-free and traffic-free. 6. In case of duplication, prize will be awarded to the first one to post based on post date. 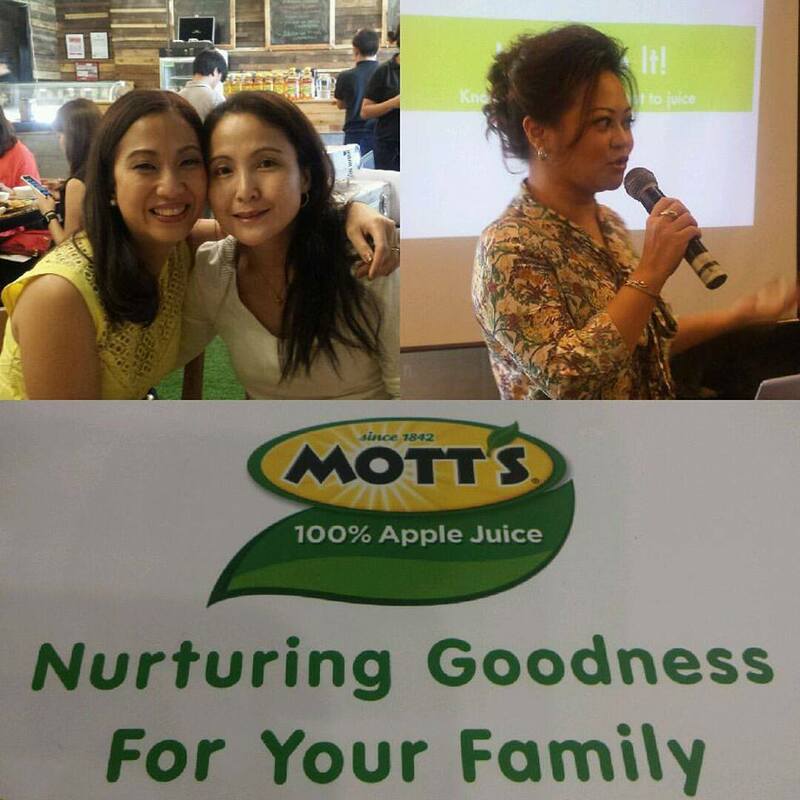 Nutritionist, Media, Bloggers and Celebrities choose Motts! 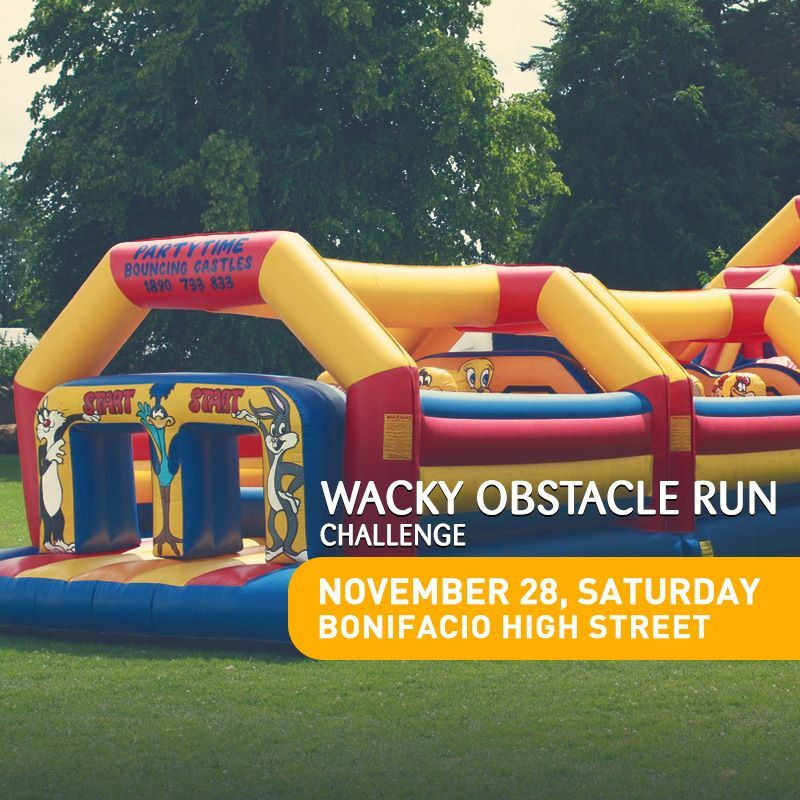 Be sure to head on over to Bonifacio High Street on November 27 to 29 to take part in the awesome games, art, food, shows! Since 2012, BGC has been acknowledging and celebrating this, by setting aside a weekend to offer a unique twist of passions simultaneously commemorating the heroism of Andres Bonifacio and the passionate Filipino community as a whole. 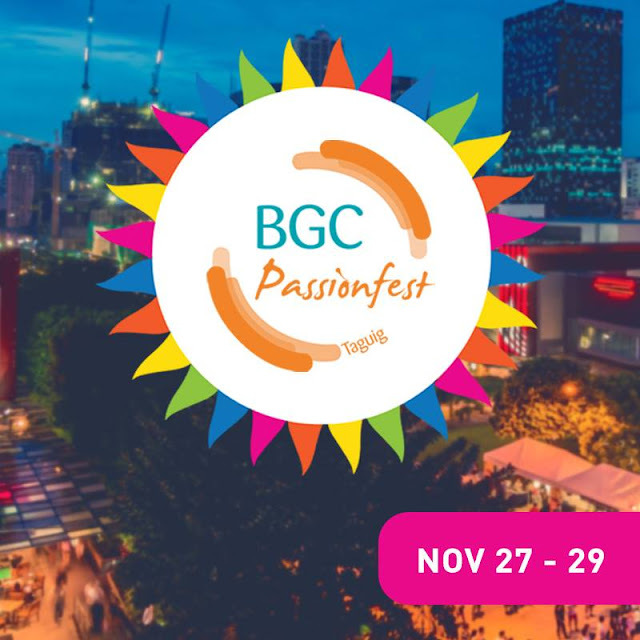 Passionfest 2015 at BGC is an annual, three-day citywide Passionfest, which is an event that celebrates Filipino life and culture with a modern twist. This year's theme, "Sari-Sari Fiesta" highlights food, games, and interactive activities that promote local arts and culturein a unique way. 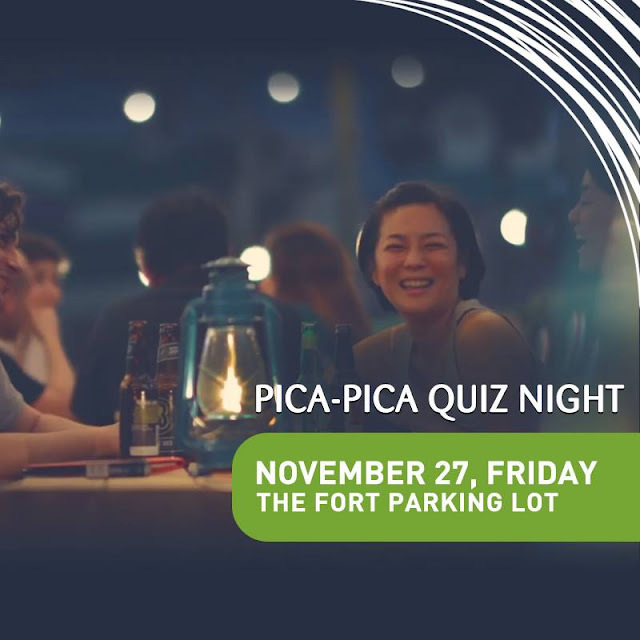 Since Filipinos love food, adventurous gourmets may take part in the Pica Pica Quiz Night on November 27 at The Fort Open Parking where one can be surrounded with the Pinoy vibe, from culinary offerings to pop culture trivia game. On November 28, running and fitness enthusiasts can get a kick out of the Wacky Obstacle Run Challenge along 7th Avenue, which will be lined with inflatables to give your usual obstacle course that extra quirk. The challenge will also feature a special hour for friends and family within the BGC community, where visitors can watch BGC waiters, sales assistants, security personnel, and groundskeeper go head-to-head.Of course, no fiesta would be complete without its parade. On November 29, Passionfest's Bayanihan Parade will showcase the different communities and passions of BGCitizens, from environmentalist to car clubs to photography enthusiasts, and many more, complete with all theaccoutrements: beautifully decorated kalesas, live music, and colorfully-costumed dancers. Don't have a particular day in mind yet? Then just drop by the Sari-Sari Fiesta, which will run forthe entire weekend, providing visitors with food booths to satisfy every one of your cravings fofor local flavor. Sample some regional delicacies, play some perya games, even join an eating contest if it strikes your fancy.All these will be rounded off with various art and culture activities all over BGC: cultural performances every hour along Bonifacio High Street, a Bambike-handmade bamboo bicycle-tour around the area, the BGC Art Mart, Chalk the Walk, and many more! All activities are free for people holding a Passionfest Passport! All you need is you’re the Passionfest Passport and you’re good to go. 3. Present proof that you live or work in BGC – employment ID or utility bills may do! THE BIGGEST OUTDOOR BAZAAR IN MAKATI IS BACK! 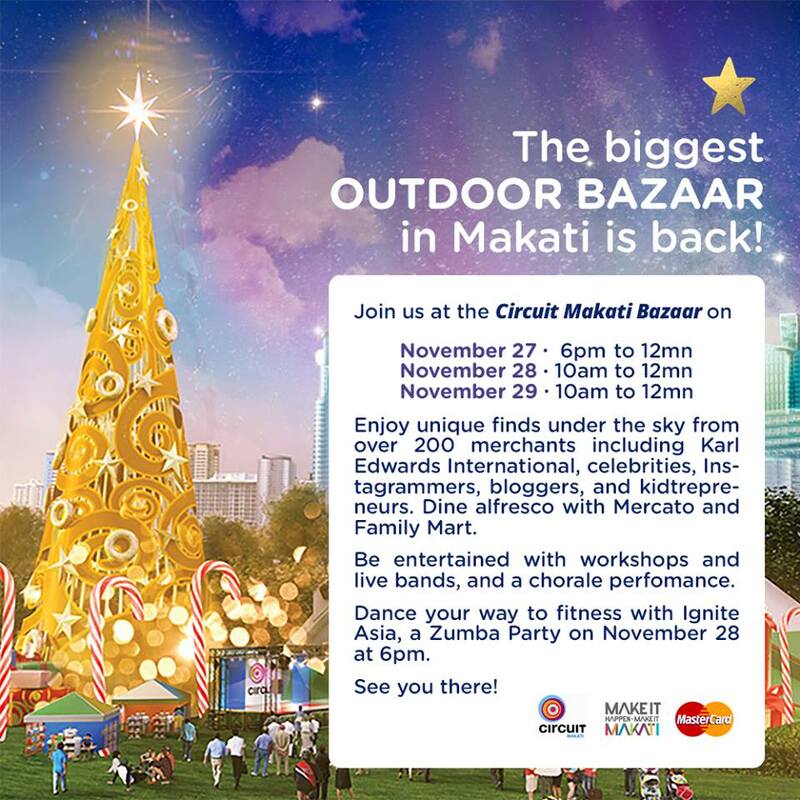 Circuit Makati Bazaar 2015 is happening on November 27-29, 2015 at Globe Circuit Events Ground, Circuit Makati. - Featuring over 200 sellers including celebrities, artisans, kidtrepreneurs and merchants from Karl Edwards International. - Entrance fee is P50 only. - Workshops from Happy Bubbles, wellness talks etc. - Celebrity auction every night at 8pm and bring home items from Tim Yap, Dani Barretto, CJ Jaravatta, Maritess Allen and more. My husband originally wanted to go to Cagayan Valley to explore the caves and other tourist spots while APEC is happening in Metro Manila, unfortunately I got sick. I knew I wouldn't be able to handle the long drive and extreme heat in Cagayan Valley. When I felt better, I immediately planned a three-day Sagada trip, but that too was shelved as there were no accommodations available for November 18 to 21. My classmate who's based in Baguio also discouraged me to go in the City of Pines as more people flocked the place. 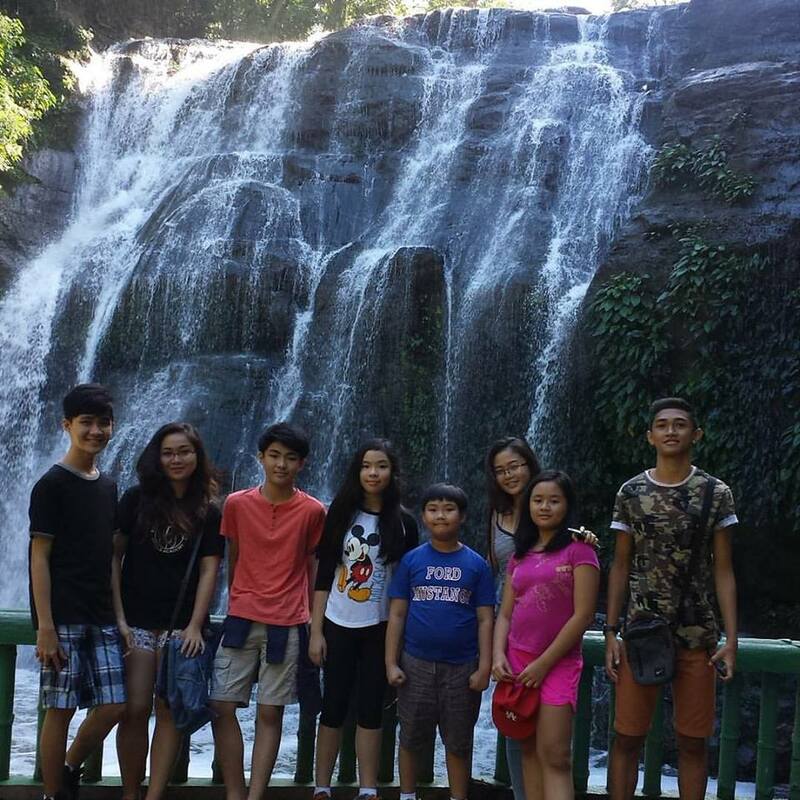 Having a determined attitude, I didn't allow to miss the opportunity of long weekend to pass by without a family adventure. We headed east and decided to check out places to visit in Antipolo. Hinulugang Taktak was declared a National Park in 1990 and a Protected Landscape in 2000. It was rehabilitated and reopened to the public last February 13, 2015. Hinulugang Taktak is in Barangay Dela Paz in Antipolo City, on Taktak Road off Sumulong Highway. Parking and entrance is free. All you have to do is sign the names and point of origin. Swimming is free, too, but it was not in our itinerary. We were supposed to have picnic in the area but the smell coming from the falls did not coordinate with our plan. We just stayed for awhile and took some photos. The clean restrooms make up for the not-so-nice smell from the outside. Plus, entance and use is free unlike restrooms in parks where you have to pay P5 or P10. The Antipolo Cathedral, also known as National Shrine of Our Lady of Peace and Good Voyage, in P. Oliveros St.Antipolo, is a favorite pilgrimage site. This is where we actually prayed to have children. This beautiful contemporary art museum sits on a 1.2 hectare property also known as Silangan Gardens located in 1 Sierra Madre St., Grand Heights Subdivision, Marikina. An entrance fee of P20 will be collected for the road use, according to the guard. I’ve been wanting to check Pinto Art Museum after Steph Lopez and PJ Valenciano told me how beautiful this place is. Well, they were right because everywhere we looked is a visual a treat. Every turn of the corner reveals lovely art pieces that will surely be enjoyed by everyone - be they art critic or not. Pinto Art Museum is located at 1 Sierra Madre St., Grand Heights, Antipolo, Rizal. Contact info: 6971015. Email: pintoartmuseum@yahoo.com. Facebook page: Pinto Art Museum. Mystical Cave is located in Sitio Boso-boso, Barangay San Jose. I'll be writing more about about this in the next few days. We visited the place weeks earlier. Click the photo to read more of Luljettas.